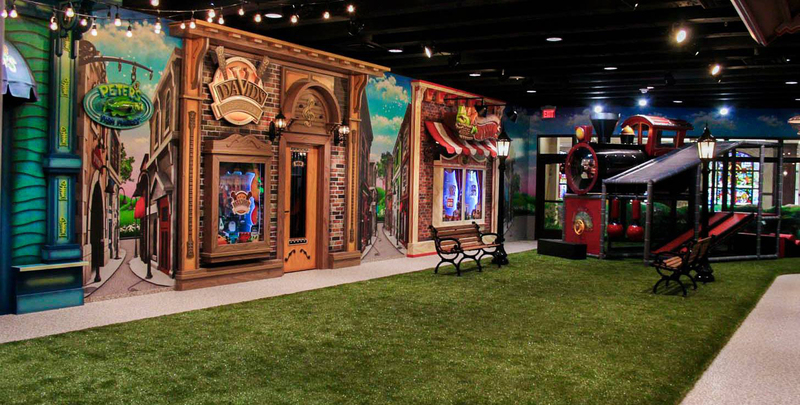 Main Street Indoor Park at First Methodist Houston is an indoor play space right in the center of Downtown Houston. This park is FREE & open to the public to enjoy on Tuesdays-Thursdays from 9:00 am until noon. The playscape is open to children ages five and under due to weight restrictions. In order to keep Main Street Indoor Park safe for all children, adult supervision is required at all times. FREE parking is available at lot at the southeast corner of Travis and Polk Streets – in the spots marked “Reserved”. Please sign in at our Welcome Desk upon arrival. For more information, contact Katie Calhoun by email or 832-668-1894. *Space is not available for rent/private parties.